I have a complicated relationship with Laini Taylor. On one side, she’s very imaginative that her world-building and creatures she created are exquisite. On the other side, while her beautiful writing adds more depth to the story she tells, it can cross to purple-prose area and easily lags the pace. As with the case of Daughter of Smoke and Bone trilogy: Love the first book, barely can get through the second and third book. So what makes me want to read this book? As I mentioned, she’s really good at writing magical and fantastical world and creatures. More than really good, she’s the best I’ve ever seen. Her imagination seems to be endless and she can conjure different kinds of creatures from it and bring it to life. And I love those kind of story. I love what this book premise, I mean a magical city that was lost to the history and an underdog who destined to have something bigger to do with the city?? I’m all for it. So despite my reservations, I add it to my tbr. And as the hype grows, so does my anticipation. But this book is huge, and I keep putting it off. In the end, history repeated itself and I ended this book with a complicated feelings towards it. Let’s get this out of the way first, I love love LOVE the cover. Both the US and the UK editions are work of art, so props for the cover designers. But I like the UK slightly better because it fits the story really well compared to the US one, but they are both lovely. I’ve got to hand it to her, Laini Taylor has the BEST imagination I’ve ever seen. She’s just soo good at making whimsical and majestic creatures, especially chimeras. Her imagination is so vivid, you can imagine all parts of the creatures. It also extends to the world, from the politics to its history. It’s so whole and immersive, I’m excited to explore more of Weep and the Mesarthim in the next installment. The final twist may be visible from miles away, but the ones come before that? I didn’t see them coming. The mysteries surrounding Weep were unraveled slowly, which heightened my curiosity. And they are weaved to the story brilliantly, making the plot a gripping one for me to keep reading. As per Laini Taylor tradition, not all characters are what it seems. No, they are all complex, tragic, destined for great things but also human at the same time. Our main character, Lazlo, has no idea where he came from or who is his parents. But he know for sure, he’s a dreamer, and he will uncover the mystery of Weep. Throughout the story, he evolved from a scared boy, letting his inner fire and kindness guide him, to joining the ranks of Eril-fane, the Godslayer of Weep. He is full of wonder and naive at times, but don’t mistook his kindness for he will do anything to protect those he loves. Our other main character, Sarai, is another story. She knows who she is, a Godspawn, a hatred person. She craved for freedom, but the reality is she’s trapped, and she has no choice but to follow the leader Minya. Yet growing in such environment doesn’t make her full of hatred like Minya; she understand the human side, she is kind and compassionate, and willing to compromise her position to make a change. Overtime, she found her voice and let her heart took charge. Other prominent characters that I would love to be discovered more in the next book is Eril Fane, the Godslayer who also carries a heavy burden he never told anyone; Azareen, the woman who loved Eril Fane endlessly and whose love ignite the whole thing, and Minya whose guilt and insecurity turned into hatred and vengeance. I would love these characters explored more and plays bigger part in the next book. As usual, the writing is beautiful. Laini Taylor brings the magic and wonder alive with her words, and immerse us in the world of Weep and the mystery of the Mesarthim. However, her writing can easily be too much, especially dealing with the romance, with its “beautiful” analogy of how the feelings feel like. Some might like the exploration and comparison, but it lags the pace for me and I skim read these parts because the story just goes nowhere. Speaking about the romance, it’s probably my least favorite thing about the book. 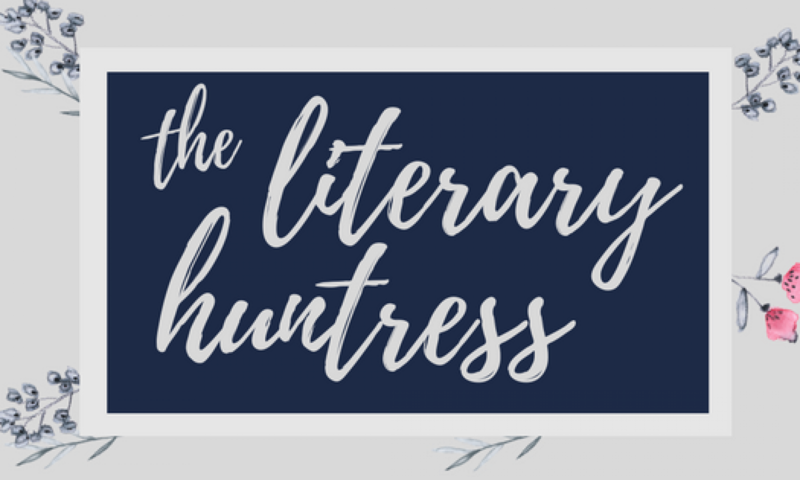 As with the Daughter of Smoke and Bone trilogy, the initial curiosity turned too quickly to love, and it easily falls into insta-love territory. Some may find it romantic, but I would rather explore the mystery and intrigue of Weep and the Faranji, than spending time exploring their feelings that leads the story nowhere. It does play a big part in the ending of this book and setting up the next one, so maybe it’s the flowery writing that disturbs me. 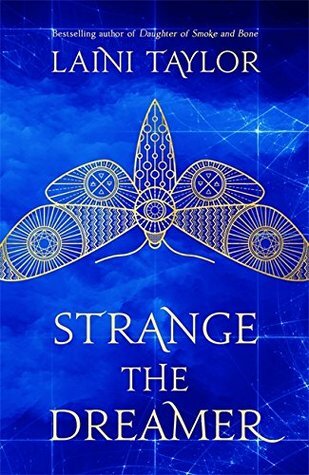 Strange the Dreamer is a magical story set in a world where nothing is what it seems. It is full of twist and intrigue, with the writing to add depths into the world and atmosphere. Yet, the writing also proves to be its downfall for me, as it dragged the pacing down in the second half of the book. The ending provides an ideal stage for the second book, and I can’t wait to see where the story will go next. I didn’t love this one either and struggled to get through it because of the extremely slow pace. It’s nice to see that I’m not the only one! I felt the same about the romance also. I hope you enjoy Muse if you decide to read it! Everyone seems to love this book it’s scary xD I will read it but not anytime soon though. Will you read Muse? I’m glad you enjoyed this one overall, Tasya! Even if you had a few problems with it. To be honest, I’m a little afraid of Laini Taylor’s books, haha. After being hyped up for DOSAB and then not really liking it, I’m scared to pick up anything else. I feel like Strange the Dreamer has been hyped up just as much as DOSAB all those years ago, and I just wonder if the same thing will happen again. Though, I think I like the sound of this story better than the DOSAB books. I really liked what you explained about the plot and characters! Maybe I need to face my fear and give this one a go, after all. I hope you like Muse of Nightmares, lovely!